Stoltmann Law Offices continues to investigate Wells Fargo broker Jeffrey Berenson, who works in the Orland Park, Illinois branch. Mr. Berenson allegedly recommended unsuitable investments to a customer, in a complaint that is currently pending. According to his online, public Financial Industry Regulatory Authority (FINRA) BrokerCheck report, Mr. Berenson was previously registered with Prudential Securities Inc. in New York, New York and is currently registered with Wells Fargo in Orland Park, Illinois and has been since January 2000. He has one customer dispute pending against him, alleging that he made unsuitable investments to a customer between 2000 and 2010. 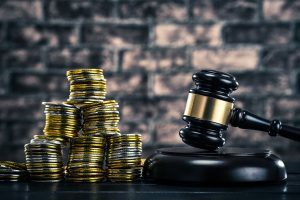 Stoltmann Law Offices is investigating former Wells Fargo broker Philip Earl Brunson, who has been accused by the Financial Industry Regulatory Authority (FINRA) of converting customer funds. He also failed to provide FINRA with information in regards to his investigation. He entered into a Letter of Acceptance Waiver and Consent, and was subsequently barred from the securities industry. Mr. Brunson worked for PNC Investments in Decatur, Illinois as a stockbroker and they discharged him because he “admitted to violating policy at his former firm by accepting cash gifts from his clients. Before PNC, he was employed as an investment advisor at Wells Fargo in Champaign, Illinois. A former client accused him of misappropriating funds from an investment account on January 16, 2013. The complaint was settled for $43,000. Mr. Brunson has also worked for Proactive Financial Services in Pleasantville, New York and A.G. Edwards & Sons in Champaign, Illinois. He has one customer dispute against him and was barred permanently from the industry. If you would like to bring investment claims against Philip Earl Brunson, please contact our law offices at 312–332–4200 to speak to an attorney. We concentrate on suing brokerage firms such as Wells Fargo for failure to supervise their employees. The call is free with no obligation. For clients victimized by former Glenview, Illinois financial advisor Darinn Dwight Kim, her former employer, Linsco Private Ledger, can be sued to recover stolen or converted funds. Darinn Kim, who ran DK Financial LLC, was terminated by LPL in October of 2012 due to the receipt of customer funds from a client without the client’s authorization. She was also kicked out of the securities industry for forging a client’s signature, transferring client funds without the customers OK and selling securities without the clients approval. For other clients of Kim who had similar conduct engaged in, her former employer, LPL, can be sued to recover any investment losses or converted funds. While employed by the firm, LPL had a duty and obligation to supervise her activities. Stoltmann Law Offices is investigating Daniel H. Glick from Orland Park, Illinois. The Financial Industry Regulatory Authority (FINRA) barred Glick from the industry for failing to respond to an investigation. FINRA was investigating him over allegations that he forged client signatures to steal and misappropriate their funds. The Certified Financial Planner (CFP) Board also barred Glick from the industry for the same reasons. Glick was a financial advisor and representative of TransAmerica Financial Advisors from January 2012 to March 2014. He worked in Orland Park, Illinois and was terminated from that branch. TransAmerica Financial Advisors had a duty to supervise Mr. Glick, and they can be sued in the FINRA arbitration process. Please call us at 312–332–4200 to find out how we may be able to help you recover your investment losses. The recent cratering of the Pacific Coast Oil Trust has devastated many elderly and retired clients who relied on this investment for conservative income in their portfolio. In some instances, the brokers who heavily sold this investment may have violated the law by recommending unsuitable concentrations of this investment. For some investors, the losses might be recoverable. Please call our investment fraud law firm in Illinois to learn how these losses might be recoverable through lawsuits against the brokerage firms who peddled the investment.